My boyfriend and I recently took a trip to Galapagos Island to spend time soaking up the sun with the sea lions and giant turtles! We spent our entire trip outside hiking, bike riding, snorkeling and riding on the boat. 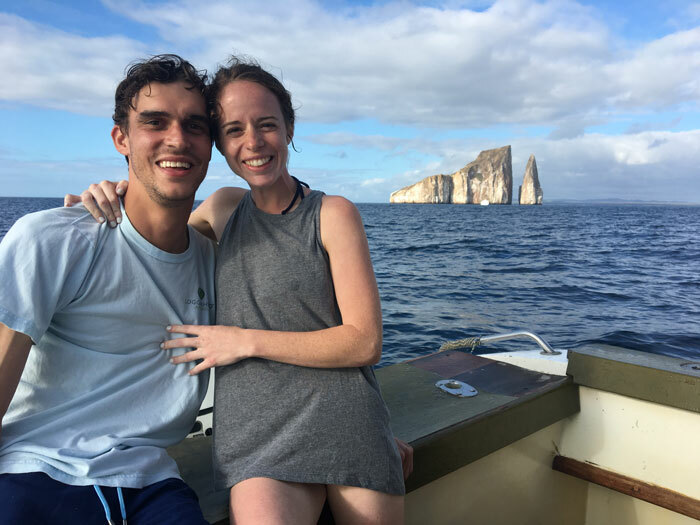 Our favorite part of the trip was taking a boat ride to a giant rock formation in the ocean (Kicker Rock) in which we snorkeled through the divide in the rocks. We saw sharks, turtles, and fish of all sizes and colors. We are grateful that Pack for Purpose provided us with a resource to give back to a community that gave such great memories to us. We were limited to the amount of things we could bring on the trip as the small plane to the island had a strict weight restriction. However PfaP made it easy to bring school supplies with us in our luggage to provide to the Alejandro Alvear School. 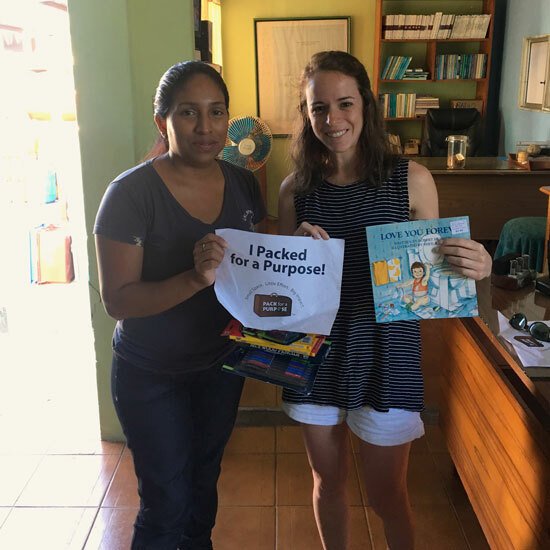 We dropped the supplies off at Ecoventura’s main office on our last day of our trip and they got the supplies to the students. Our Pack for Purpose experience was an easy process to make a Big Impact.